www.lmu.edu > The LMU Experience > Good and Bad of NFL in L.A.
Good and Bad of the NFL in L.A. Discussions of an NFL team returning to L.A. have intensified, but time is running out on a decision that would allow a team to play the 2016 season. The St. Louis Rams have proposed a stadium in Inglewood, and the San Diego Chargers and Oakland Raiders are backing a competing plan in Carson, according to a Los Angeles Times article. NFL owners are set to meet in December, where L.A. will be a focus. On the “pro” side is Patrick Rishe. Rishe was a visiting assistant professor of economics in the Bellarmine College of Liberal Arts for the 2014–15 academic year. He is now director of the Sports Business Program at Washington University in St. Louis. He is the founder and director of Sportsimpacts, a national sports consulting firm, and a contributing sports business writer for Forbes. Saying “no” to L.A. going pro is Lawrence A. Wenner. Wenner is Von der Ahe Professor of Communication and Ethics in the College of Communication and Fine Arts and the School of Film and Television. He is editor-in-chief of the International Review for the Sociology of Sport and has studied sport and society for more than 30 years. I strongly believe a return of professional football to the Greater Los Angeles area will produce long-term net economic and societal benefits to the city if the public outlay to finance a new facility is minimal. Based on recent developments, minimal public financing seems highly likely. NFL owners of the Rams, Chargers and Raiders are engaging in a race to the Los Angeles market that resembles the 1981 road film “The Cannonball Run.” And the beauty of this for Angelenos is that neither proposal seeks subsidization through the imposition of new sales taxes. Rather, both will rely on a combination of owner contribution, bonds, game-day or event-related ticket taxes and revenues, NFL stadium loans, and personal seat licenses sold prior to any team’s arrival. Furthermore, both proposals are led by current NFL owners who are better positioned to see their proposals come to fruition than any developer without NFL ties. St. Louis Rams owner Stan Kroenke wants to build an 80,000-seat stadium in Inglewood at the site of the old Hollywood Park racetrack, which will be part of a larger redevelopment plan that includes residential and commercial opportunities. The San Diego Chargers and Oakland Raiders want to build a privately financed $1.7-billion stadium on the site of a former landfill in Carson that they would share. No ancillary development is planned around this facility. Geographically, both sites are ideally positioned between the affluence of West Los Angeles and Orange County along Interstate 405. Both have a history associated with hosting sporting events. Carson’s history is more recent, with StubHub Center hosting professional soccer and pro tennis, and Inglewood’s Forum hosting the Lakers and Kings from 1967–99. Between the Inglewood and Carson bids, the Inglewood bid has five advantages over Carson. First, there is a greater legacy of sports history and sporting successes in Inglewood than in Carson. Second, it’s closer to LAX, which makes it more viable for non-local fans, teams, event producers and media to access the area. Third, Stan is “the man” … as in “money man.” The Chargers and Raiders combined don’t have the largesse of Stan Kroenke, and this will help facilitate the Inglewood bid. Fourth, a Chargers/Raiders bid would necessitate reformatting NFL divisions (as the league wouldn’t want teams from the same division to split a stadium due to forsaken gate revenues). Fifth, Inglewood’s broader residential and commercial redevelopment plan brings greater long-term financial and aesthetic benefits. The timing for a new facility within Greater Los Angeles is on point because cities without new multipurpose facilities lose out on numerous sporting and cultural events to other cities and fancier digs. Consider AT&T Stadium in North Texas, Lucas Oil Stadium in Indianapolis or the San Francisco 49ers’ new home at Levi’s Stadium. Extravagant multipurpose stadiums allow organizations to bid on events that attract considerable numbers of visitors to the region. Both AT&T and Lucas Oil hosted recent Super Bowls, and Levi’s will host in 2016. AT&T Stadium has hosted the NBA All-Star Game and the inaugural College Football Playoff (CFP) championship game. Both AT&T and Lucas Oil have hosted the NCAA Final Four. In short, a new facility would automatically make Los Angeles a Super Bowl host every five years and a serious candidate to host NCAA Final Four games and the CFP title game, thereby creating additional economic benefits to the region and more intangible benefits (i.e., fan experiences and memories) from a wide array of events that would enrich the lives, spirits and passions of local citizens. It can be hard to reason with a passionate sports fan. Still, fan fervor and seductive yet faulty economics should not cloud our decision about bringing pro football back to Los Angeles. We risk being hijacked by boosters who seek to advance their own economic or political interests over ours. Here are 10 reasons to “Just Say No” to pro football in L.A.
Just say no to special monopoly status and antitrust breaches. Most people don’t like monopolies. They’re unfair. Yet that’s what the NFL is. Courtesy of expanded Congressional antitrust legislation and tweaks to the Internal Revenue Code, the NFL operates as a cartel with nonprofit status. Just say no to public subsidies for billionaire owners. Doling out welfare troubles many people. Yet economists agree that in bringing professional sports to a city, we provide welfare for billionaires. This comes in the form of preferential tax rates, sweetheart deals to avoid property taxes and capital gains tax rates. Just say no to the mirage of private money building a stadium. Regardless of what the current proposals say, public monies will still get dumped into the stadiums via public utilities, transportation and other municipal services. Just say no to the culture of athlete privilege. Sport sociologists sometimes joke, “We know that sport builds character, we’re just not sure what kind.” Indeed, sport can facilitate fair play and cooperation. However, elite athletes often end up worshipped and made to feel special. Professional football, a violent sporting endeavor, disproportionately attracts problem-prone athletes. Just say no to tickets only the rich can afford. Why do we build an expensive stadium where the price of admission is exorbitant except for the rich and privileged? Yes, poorer fans may buy tickets once in a while, but would routine allocation of limited resources to football tickets be deemed prudent home economics? Just say no to a poor economic engine. Economists have looked carefully at this. Apart from the athletes, new jobs created by pro sports are largely low-paying, part-time ones without benefits. Economists wryly note that opening a new Walmart would yield more revenue. A new technology park, even more. Further, evidence shows that leisure and tourism dollars don’t grow; rather, they’re finite, moving to football from other recreational options. Just say no to the myth that we are all fans. A Pew poll shows that only 26 percent of men and 10 percent of women follow sports closely. 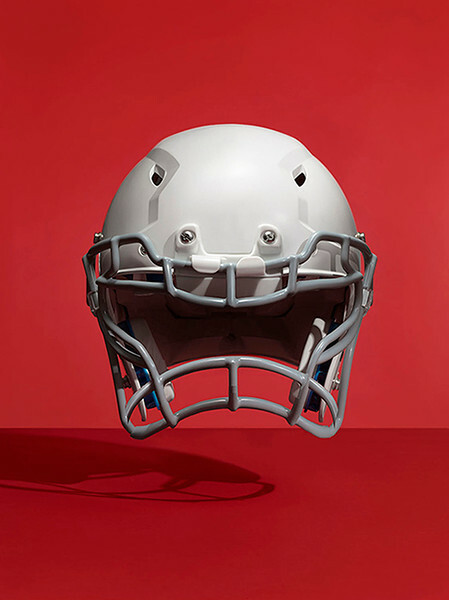 Further, there are rising sentiments against a gladiatorial NFL football culture that institutionalizes brain trauma as well as insensitivity to men’s violence. It’s not “your team” or “our team,” it’s the owners’ team. Owners often make demands and threats, and pack their bags and move. Further, players are highly paid hired hands who typically live and spend their money outside of our ZIP codes. Psychologists point to the danger in fans merging their identities with “their” team. Some fans falsely feel better about themselves when their team wins; despondent fans have difficulty recovering after a loss. Just say no to pro football game broadcast blackouts. Because tickets have become so expensive, pro football teams often have a hard time selling out. When a team fails to sell out, game broadcasts are subject to NFL blackout rules. With L.A.’s many competing attractions and terrible traffic, the likelihood of this is considerable. It may be better to have “your team” be an out-of-town team.